As Ireland’s ONLY Wedding Planner specialising in Destination Weddings in Malta, I am thrilled to announce my involvement in Wedfest 2018. Finally a wedding festival that aligns with the alternative couples that seek my professional services. Wedfest is an alternative wedding festival focused on celebrating the individuality of couples. It highlights the many options available to couples that don’t want to follow the traditional wedding route. The aim of the festival is to help couples to plan the wedding day that reflects their style, personality and story. This message aligns entirely with the vision of Planned By Tara, so I am thrilled to be a part of this wonderful event. The event takes place in the stunning Chocolate Factory in Dublin 1 on 4th November (my birthday!). 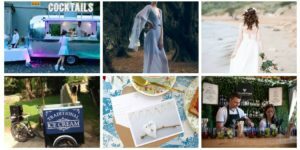 You can expect to see a wonderful selection of alternative wedding suppliers and there will be a variety of performances, demos and workshops on the day. Early bird tickets are on sale now for just €5 and include a luxury goody bag and complimentary Gin & Fever Tree Tonic on arrival. Make sure to get your tickets via Eventbrite HERE for your preferred timeslot. I will be exhibiting on the day so you can come chat to me to discuss the options available to you for your destination wedding in Malta. In addition, I will be chatting on the demonstration stage, where I will be discussing everything you need to know when planning a destination wedding in Malta. Also, I will be launching my new E-Brochure on the day. This includes my new All Inclusive Collection developed for Malta’s finest venues, using only my highest recommended suppliers. As a special treat, I will offer 10% off all of my wedding services for those that book on the day. Check out my WEBSITE for details of the fees that you can expect to pay. Of course,T&Cs apply and subject to availability. In the meantime, if you would like to find out more, you can find me at the following locations: Couples Forum – Facebook, Facebook, Instagram, Website.